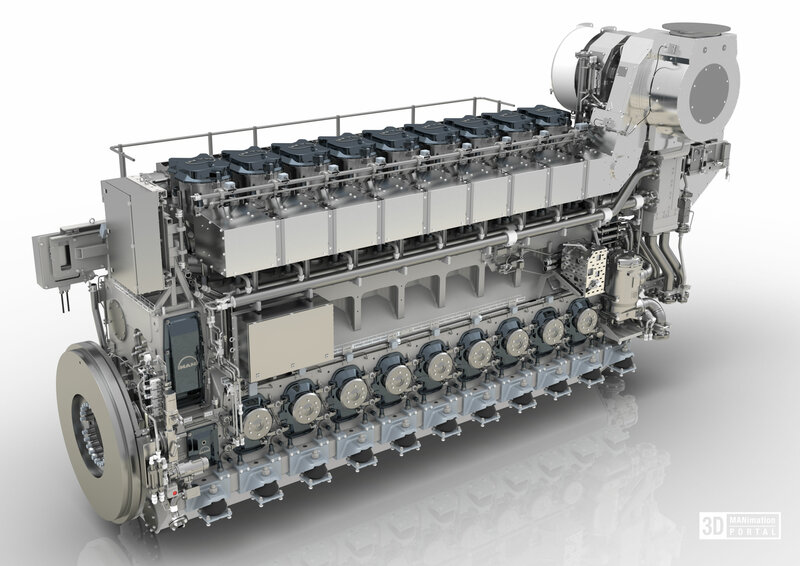 MAN Diesel & Turbo has announced that the MAN 32/44 Common Rail engine family (rated power: 3,600 – 12,000 kW) has received US EPA Certification, a requirement for all engines installed aboard US-flagged vessels. US EPA Tier 3 is currently the final emissions tier for Category 3 (≥ 30L/cyl displacement) engines, and is similar to US EPA Tier 4 for Category 1 and 2 (< 30 L/cyl displacement) engines. 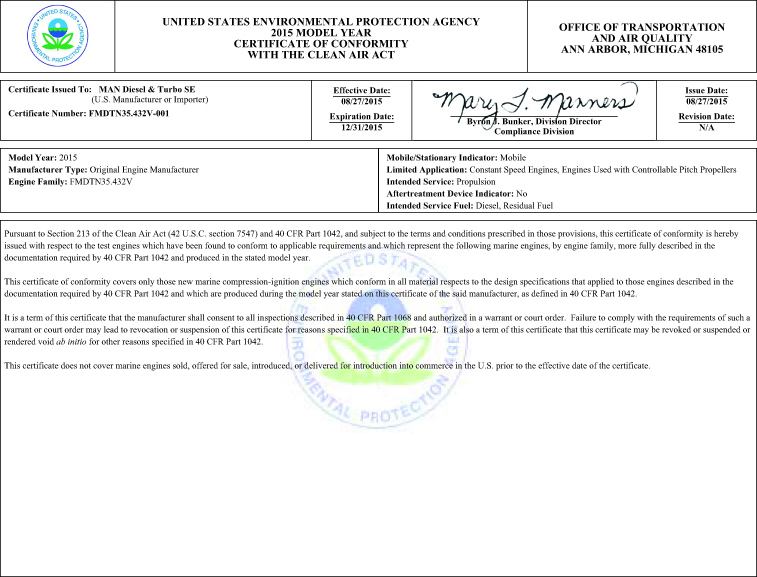 The US EPA certification process was initiated in response to demand from the American fishing industry. MDT has already received several orders within the United States for the engine, including that for an MAN 8L32/44CR engine to power a newbuilding trawler for Fishermen’s Finest, the U.S. fishing company. This order was significant in that it represented a breakthrough for the CR engine in the important, US domestic-fishing segment. MAN’s CR engines are marked by their excellent fuel efficiency and low operating costs. Since being introduced in Europe eight years ago, the engines have consistently proven their reliability and durability within the fishing industry. MAN Diesel & Turbo’s common-rail engines are among the most technologically advanced in its portfolio with a segment-leading SFOC that significantly lowers emissions of soot and NOx over its complete operating range. The company’s CR engines have already established a solid presence in several marine segments globally. low fuel-consumption of 172.4 g/kw-hr for diesel-electric and CPP set-ups, and the use of high-efficiency turbochargers. MAN 32/44CR engines are suitable for a variety of applications including fishing, ATBs (Articulated Tug Barges), anchor handlers, offshore construction vessels, dredgers and drill ships.